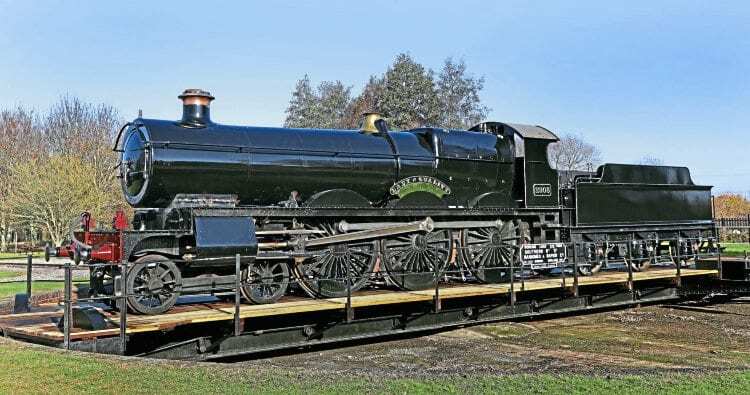 CLEAR skies and late-autumn sunlight provided perfect conditions for the public debut of the Great Western Society’s near-completed Churchward ‘Saint’ 4-6-0 No. 2999 Lady of Legend at Didcot Railway Centre on November 17-18. Plenty of visitors turned out during the aptly named Black Saint Weekend to get their first glimpse of the loco, albeit static and minus its true identity, carrying unlined black livery. red-backed plates, while on the other it carried original plates from No. 2908 Lady of Quality. In many respects it was a case of ‘what if…?’ as the original No. 2983 was withdrawn in March 1946 and did not make it to Nationalisation, so would never have carried red-backed plates.